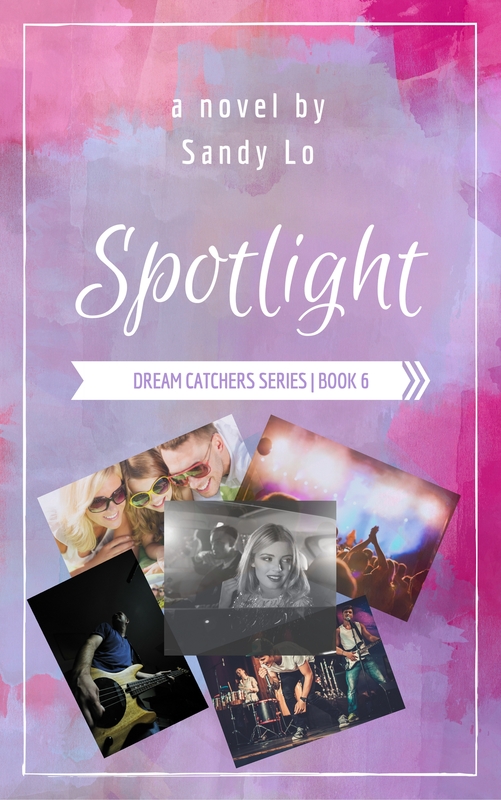 New York author, Sandy Lo releases BREAKING THE MOON, a follow-up novel to 2010’s rave reviewed DREAM CATCHERS, which spawned the song “Haley’s Letter” penned by Sandy along with musician/actor James Manzello. BREAKING THE MOON continues the journey of Haley Foster and Jordan Walsh, who are both at the brink of fulfilling their dreams. Jordan’s band, Tortured is already a success before the release of their debut album while Haley is set to graduate college and begin her career as a respected photographer. It’s been moonlight and road trips for the couple so far, but it all stops short when Haley finds out she’s pregnant, and Jordan discovers some secrets from his past. Haley and Jordan’s love for one another is tested while they are catapulted into adulthood without a net to catch their fall. Sandy Lo decided to write BREAKING THE MOON out of demand from her fans. “All I hear from my readers is how they love Haley, Jordan and the band, and how they want to know more about them, so I wanted to give them more,” she says. Don’t expect the same carefree humor that was seeped into DREAM CATCHERS, though. Its sequel deals with some tragic issues, but Sandy assures her readers there are many uplifting times throughout the novel as well. BREAKING THE MOON is in memory of Sierra Williams, the newborn daughter of Lo’s close cousin who passed away during the production of the novel. Lo will be donating a portion of her book sales to First Candle in Sierra’s name. For more information on First Candle: www.firstcandle.org. Since the release of DREAM CATCHERS, Sandy Lo has merged StarShine Magazine into her website: www.sandy-lo.com in order to maximize her efforts as a writer and journalist. The support received has been amazing. Former 98 Degrees member, Jeff Timmons and pop star Aaron Carter have both publicly acknowledged Sandy Lo and her books on their Twitter accounts. Jeff Timmons even sent Sandy a video to be played at the DREAM CATCHERS book release party last year. Aaron Carter & Sandy Lo with two of her novels. “It’s such a great feeling knowing I have the support of people I idolized and always promoted in StarShine Magazine. I’m blessed that they have mutual respect for me and my art,” Sandy explains. Sandy also interviewed Shannon Leto, founding member of her favorite band 30 Seconds To Mars last spring. In the interview, Sandy told Shannon about DREAM CATCHERS and how the band inspired Tortured. “I’m lucky enough to be in this amazing position in life that I get to pick the brains of my favorite music artists, and in turn, I’m inspired to create novels and even songs, like ‘Haley’s Letter’,” Sandy explains gratefully. BREAKING THE MOON is available in paperback on www.lulu.com and on Kindle. For updates and more information on Sandy Lo and the stars she interviews, go to: www.sandy-lo.com. Follow Sandy on Twitter: www.twitter.com/authorsandylo.